Is it possible to rate a book as '0 stars'? If so, then this is a book that deserves such a rating. I read this book on the recommendation of a person whose name and relationship to me will remain confidential, but suffice to say in future I will do the opposite of what that person recommends. 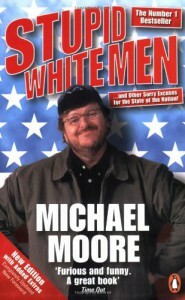 The only Stupid White Man involved in this book was me... for wasting my time ploughing through this book to the end.